Raechel was born and raised in North Idaho and graduated from North Idaho College with an Associate of Science Degree. She recently joined a Fitness Boot Camp that she enjoys doing in her free time. Raechel also has two beautiful daughters who love shopping, hiking, and traveling to small nearby towns to explore! 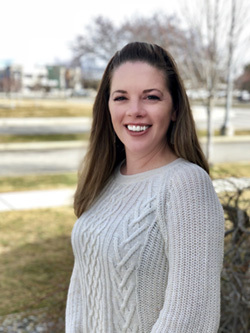 Raechel chose to pursue a career in the insurance industry because she knows how important it is to make sure familiesare properly covered in the event of a loss. She takes pride in ensuring everyone’s insurance needs are properly met at the time of a crisis. Raechel’s Claim to Fame: She once played a 126‐point Scrabble word!